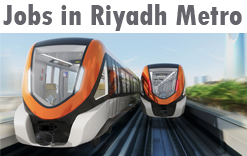 A major new phase for the implementation of the largest cultural project seen in the city of Riyadh, "the King Abdul Aziz Project for public transport in the city of Riyadh," which consists of a modern rail network system. Supported and fed by a multi-level networks of bus transport systems. Estimates suggest that the number of Riyadh's population will grow about from 6 million to more than 8.5 million over the next 10 years. This will require the provision of more effective alternative ways to meet the needs of the city from population growth and transportation. In June 2013, a shortlist of 3 major global consortia was chosen to build the metro.Contracts were awarded in July 2013, with construction planned to start in 2014 and take 4 years.